For students of salsa dancing. Is there a better alternative to The Salsa Rhythm Machine? Is The Salsa Rhythm Machine really the best app in Music category? 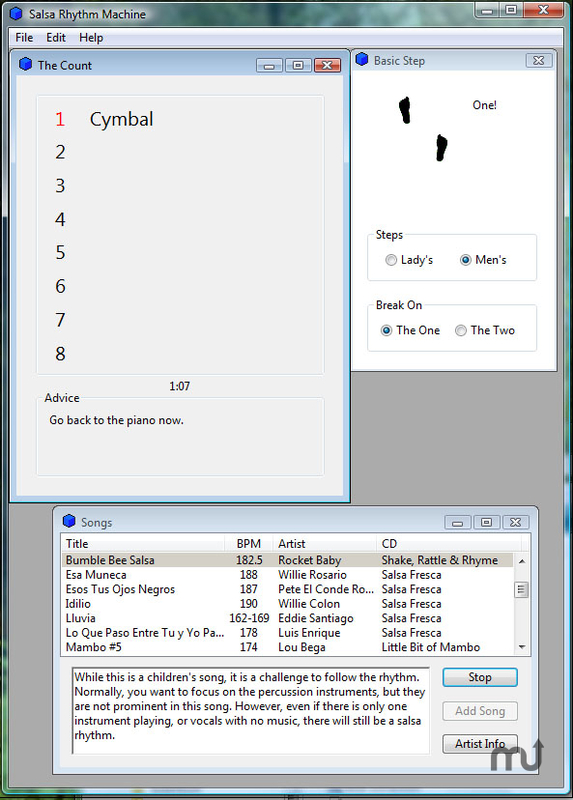 Will The Salsa Rhythm Machine work good on macOS 10.13.4? The Salsa Rhythm Machine teaches students of salsa dancing how to find the rhythm in salsa music. Version 3.0.2: Several bugs were fixed that were affecting people in countries that use the comma for the decimal point in numbers instead of the period. The Salsa Rhythm Machine needs a rating. Be the first to rate this app and get the discussion started!